50 per cent of the batch accepted offers in Consulting (29 per cent ) and Finance (21 per cent ) sectors. 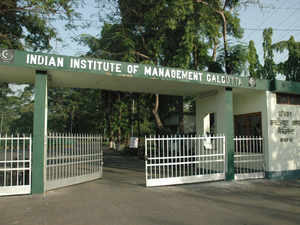 IIM Calcutta has completed placements for the 441-strong 54th batch of its flagship PGP programme with an average salary of Rs 25.36 lakh and a median salary of Rs 23.5 lakh. The average and the median salary increased by Rs 1.16 lakh and Rs 1.5 lakh respectively. In a release, the institute said that the placements closed by Day 1 Afternoon which corresponds to the second day of making offers in the placement week. 123 firms from diverse sectors participated in the placement process making a total of 501 offers, translating to 15 per cent of the batch receiving more than one offer. 50 per cent of the batch accepted offers in Consulting (29 per cent ) and Finance (21 per cent ) sectors. AT Kearney, Bain & Co., The Boston Consulting Group, and McKinsey & Co. were the leading recruiters. Other prominent names include EY-Parthenon, Alvarez & Marsal and PwC amongst others. Accenture was the largest recruiter with twenty four offers accepted. In the finance sector, recruiters such as Goldman Sachs, Bank of America Merrill Lynch (BAML), Citi, JP Morgan Chase, Deutsche Bank and Avendus made offers to the students. New age firms in e-commerce, operations and product management also attracted a large chunk (16 per cent ) of the class of 2019 with 68 accepted offers. Amazon, Uber, Udaan, Media.Net, Flipkart, Microsoft and Salesforce were some of the recruiters in the sector. General management (14 per cent ), sales and marketing (12 per cent ) and IT-analytics (8 per cent ) also hired in large numbers from the campus. Companies included Aditya Birla Group, Mahindra, Wipro, Adani, L’Oréal, Mondelez, Hindustan Unilever, Samsung, Coca Cola, Bajaj Auto, EXL, American Express and Cognizant.